We’re serious about our burgers here in Omaha. When someone suggests going out for a burger, we don’t pile in the car and head to McDonald’s – we hunt down the best, juiciest, most mouth-watering perfect patty we can find. Check out the burger section on their menu, take a deep breath while you try to not get overwhelmed with your flavorful options, and make your choice. While anything you choose is sure to satisfy, might we steer you in the direction of their well-loved Barley Burger? It includes a fresh 7-ounce patty topped with bacon, red onion marmalade, lettuce, tomato, pickle, and your choice of cheese. Black Oak Grill was named as one of the best burger joints in the entire state of Nebraska, so they have our utmost attention. Although they only have four burgers on their lunch/dinner menu, this place knows what they’re doing in the juicy burger department. Block 16 offers farm-to-table street food in their charming cafe downtown. The two owners have a passion for farm-fresh food, new recipes and traveling (to experience diverse cuisine, of course), and their story beautifully translates into the way they do business. Their burgers landed them a spot on the Best of Omaha 2016 category for Gourmet Hamburgers and you’ll understand why once you try one of their burgers. As you might have guessed by looking at the name, Brewburgers serves some of the best burgers in Omaha — and in the entire state of Nebraska! 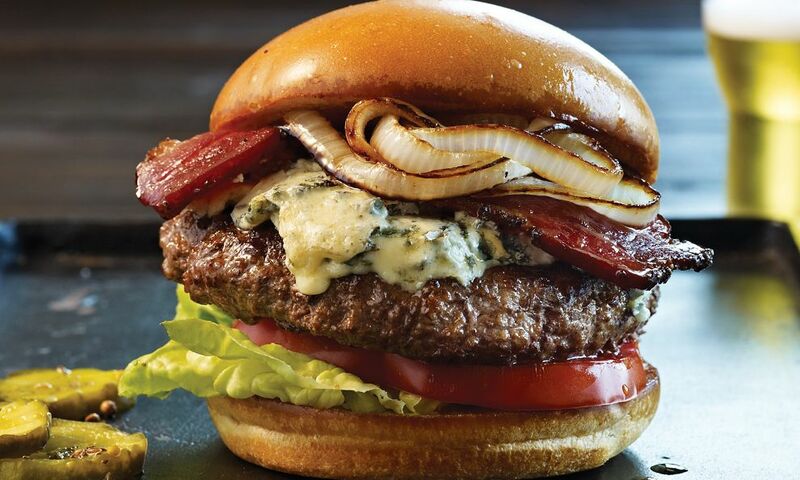 Their burgers are to die for, but if you don’t see what you’re looking for, you can even make your own from scratch. Grab the Farnam House Burger or ask for the Daily Burger Special at Farnam House Brewing Company. Whatever you do, you can’t go wrong at this brewery nominated as the best hamburger on Omaha World-Herald’s Omaha’s Choice Awards. This little setup is located just off of I-80 and is nestled in the heart of one of Omaha’s oldest neighborhoods. They have been serving their famous burger for over 60 years, and their extensive menu features a variety of original burgers, homemade daily lunch specials, and American classics. This burger joint has been around since 1980. It actually started out as a catering service! When word got out about the food, there was no looking back – and Burger Lust was the result. It has grown since then and is known for offering some of the best burgers in the area. Find out what makes this place great when you visit today. Head south to Bellevue to visit Sinful Burger Sports Grill, a favorite for folks in Bellevue and Omaha. In fact, it was a winner for the Best of Omaha 2016 for Gourmet Hamburgers. Stella’s Bar & Grill is another Bellevue favorite included among the best hamburgers on Best of Omaha 2016. In fact, Stella’s has claimed that title for seven years straight! Since this burger joint started in 1936, they’ve been making their world-famous hamburgers the same way — with 6.5-ounce, hand-pressed, fresh ground beef patties served on a Rotella’s hamburger bun with lettuce, tomato, pickles, onions and real mayo. Twisted Cork Bistro was named as Food Network Magazine’s best burger in Nebraska, largely for their use of all-natural, local ingredients, including pork shoulder and flat-iron steak from nearby Hollenbeck Farms.